But the so-called gig economy, which has drawn massive attention, billions of dollars in venture capital, and praise and steep criticism from policymakers, doesn’t appear to have caused a major disruption to work after all. That is a clear takeaway from a new report out Thursday from the Bureau of Labor Statistics that assessed the size of America’s “gig economy” for the first time since 2005. The report found that the share of American workers in these types of jobs has shrunk over the past 13 years – a time before Uber and its brethren even existed. In 2017, 6.9 percent of U.S. workers were independent contractors, meaning their primary job wasn’t direct employment at a company. That was down from 7.4 percent in 2005 and is barely higher than the 6.7 percent of workers who were independent contractors in 1995. Experts cautioned that tracking the gig economy is a uniquely difficult task, but they say the findings suggest traditional employment remains the principal driver of economic activity in the United States. The BLS surveyed 60,000 households last year for the report, making it by far the largest and most comprehensive look at non-traditional workers. That said, there are profound shifts that appear to be happening in the labor force that are not captured by the report, including outsourcing and the rise of the “side hustle.” More and more companies are outsourcing primary tasks – from janitorial work to computer programming – to third-party companies, a trend that the report didn’t address and that many economists believe holds down wages. 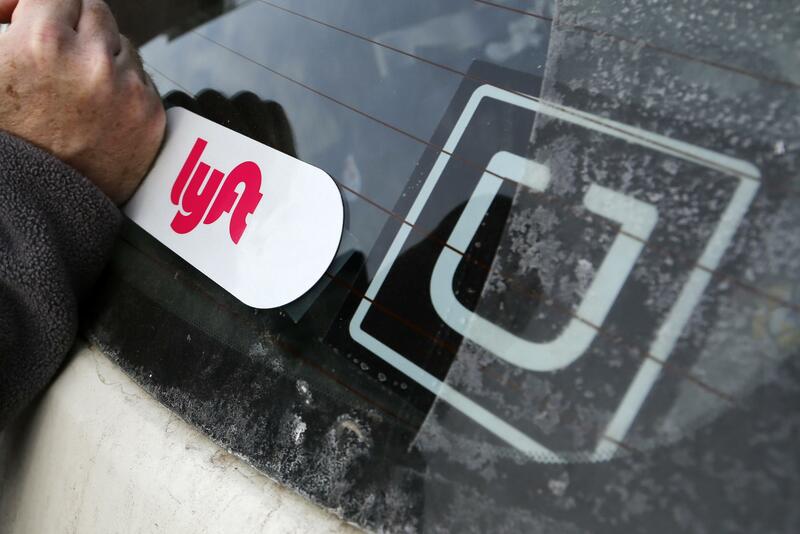 The BLS asked people only about their primary job, so if someone is driving for Lyft in the evenings or weekends to earn more money, that is not captured in the report. This omission has led some experts to believe the gig economy is much bigger than the government data suggest. Dennis Brewer is a good example of the kind of worker this survey might not have covered. His primary job is at a Safeway supermarket in Washington, but he drives for Lyft on the side. He started at Lyft earlier this year because he needed extra money to pay off his car loan. He enjoys meeting new people, but he said it could never be a full-time job for him because the pay isn’t good enough and he doesn’t like being in the car all day. Growth in business and professional services has also been hefty, probably a result of baby boomers nearing retirement and opting to be consultants toward the end of their careers, a typically lucrative option. The majority of America’s 10.6 million independent contractors are men, and a third are over 55, according to the BLS. Their work runs the gambit from Uber drivers to plumbers to consultants. The overwhelming majority of independent contractors say they are satisfied with their jobs and like being their own boss, according to the BLS report. Fewer than 1 in 10 say they would prefer a typical work arrangement. Pay for independent contractors is about the same as for traditional workers, although there is wide variation. Academics have previously produced larger estimates of the gig workforce. A oft-cited 2016 study by economists at Harvard and Princeton estimated that the share of all on-call workers, contract employees, freelancers, temporary staffers and others in “alternative work arrangements” rose to 15.8 percent at the end of 2015, a sizable uptick from the 10.7 percent that the BLS measured in 2005. Martha Gimbel, director of economic research at Indeed Hiring Lab, advised against concluding the gig economy has dwindled just from the latest BLS report. “It’s hard for us to know if this reflects the strength of our economy or a structural shift, which is why we need data like this more often,” she said in a statement. There’s little doubt that the barriers to getting work on the side are falling. Becoming an Uber driver or hired hand is easier now than it was in the past, thanks to the Internet and smartphone apps, but that doesn’t mean traditional work is ending. “There are changes underway in the economy and how people get jobs, but I don’t think it’s a seismic shift,” said Katharine Abraham, who was commissioner of the Bureau of Labor Statistics from 1993 through 2001. It’s not like all of this is new just because of Uber, Abraham said. Published: June 7, 2018, 10:40 a.m. Updated: June 7, 2018, 6:14 p.m.